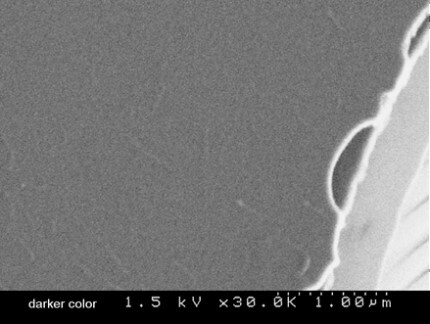 The Radial Arc is ideal for ta-C deposition. The difficulties of running a stable vacuum arc on graphite, along with elimination of the copious macroparticles produced, have been overcome. 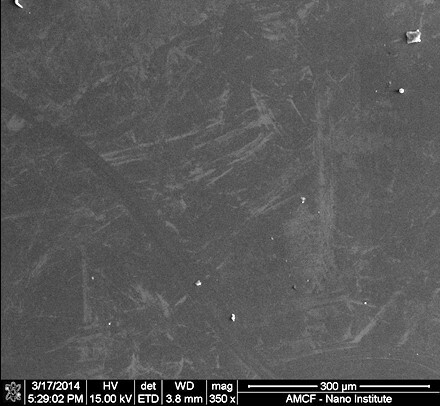 Radial Arc carbon ion deposition allows precise control of deposition energy while maintaining low temperature, resulting in tetrahedral amorphous carbon films that can be 10 times harder than films deposited using non-ionized processes, such as sputtering. (see table below). 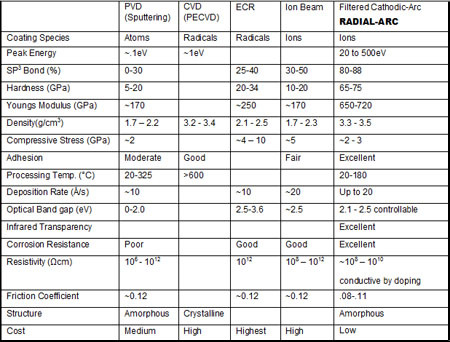 The Radial Arc offers optimal diamond film properties, together with practical deposition rates uniform over large areas from an uncomplicated, compact source.